What it is: From August 24 to August 31, Apple will donate $1 to the National Parks Foundation for certain purchases made through Apple Pay. Apple Pay offers a secure way to purchase items through a credit card. However, adoption of Apple Pay has been slow because learning to use Apple Pay requires a new way of thinking beyond pulling out a credit card and sticking it in a machine. Although security is crucial, it’s not a major reason why people change their habits. That’s why Apple needs other ways to promote Apple Pay to the public. So from August 24 to August 31, for every purchase made through Apple Pay at any Apple Store, on Apple.com, or through the Apple Store app for iPhone and iPad in the United States, Apple will donate $1 to the National Park Foundation, the official charity of the U.S. National Park Service. The goal is to make more people aware of Apple Pay and give them a reason to use it. Once people use it once, they’ll be more likely to use it again. Apple needs to offer further incentives to use Apple Pay to increase adoption. The fewer merchants who have your credit card number, the fewer places hackers will be able to steal your credit card number. For people who understand security, adopting Apple Pay makes sense. For everyone else who needs a compelling reason to change their buying habits, perhaps this National Parks Foundation donation can be the first of many steps in getting people to start using Apple Pay for their own sake. 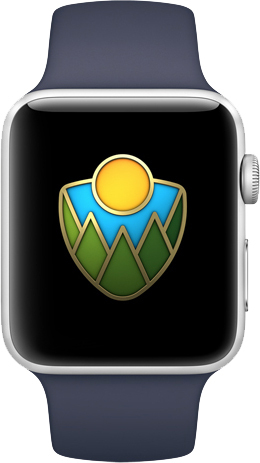 To read more about Apple’s donation plan to the National Park Foundation, click here. What it is: Apple Pay continues growing with over 252 million users, mostly overseas. According to Loop Ventures, Apple Pay adoption continues to accelerate exponentially overseas compared to the U.S. Out of the 252 million worldwide users of Apple Pay, 85% of users are outside the United States with only 15% in the United States. The biggest advantage of Apple Pay is security. During most credit card transactions, the credit card number gets transferred to the merchant’s computers. Since most merchants lack adequate security, big merchants like Target, Walmart, or Home Depot, become instant targets for hackers. If a hacker can break into a single large retailer’s computers, the hacker can steal thousands of credit card numbers. Apple Pay avoids this problem by never giving a credit card number out. In this way, Apple Pay is far more secure than using a traditional credit card. The big problem is that security is rarely a selling point. As a result, many people don’t use Apple Pay because they don’t see the advantages and they don’t want the hassle of setting it up. That means Apple Pay adoption, while slow in America, is increasing rapidly in other parts of the world because credit card transactions are far more inherently insecure in many parts of the world. In comparison, credit card fraud is just as high in America but because banks easily remove fraudulent charges, it’s far easier for Americans to dismiss the idea of greater credit card security. Apple Pay isn’t a must-have feature, but it’s an extremely convenient one once you get used to making payments through Apple Pay. As more merchants start accepting Apple Pay, more people will find it’s far more convenient to use it by simply holding an iPhone or Apple Watch to pay for your purchase. Rather than carry around a wallet full of credit cards that someone could steal, Apple Pay lets you pay for everything using your iPhone or Apple Watch that you’ll likely have with you anyway. Apple Pay will gradually convince more people to stick with Apple products over time. That’s why rivals like Android Pay and Samsung Pay are trying to compete, but Samsung Pay is limited to Samsung products so Android users are far better off using Android Pay. Whatever digital payment system people use, the long-term means that credit cards will increasingly become obsolete. Now thieves won’t be able to steal your credit card number or your credit cards if you don’t have to carry them around and give up your credit card numbers every time you make a purchase. Apple Pay is the future of digital payments. If you haven’t started using Apple Pay, yet, get started. It will keep your credit card more secure and security is one feature that too many people only think about after they need it. To read more about Apple Pay’s steady growth, click here. What it is: CVS and 7-11 now accept Apple Pay. At one time, a consortium of merchants including Walmart, CVS, BestBuy, and Target tried to create their own digital payment system called CurrentC. The idea was to eliminate credit card fees and keep the money for themselves. The problem with CurrentC was that it required getting consumers to adopt it. That’s why so many companies banded together with the idea that if several big merchants offered it, more people would likely adopt it. Then Apple introduced Apple Pay, quickly followed by Google Pay and Samsung Pay. Instead of limiting digital payments to merchants, these new payment systems limited digital payments to specific devices. The popularity of the iPhone and Apple Watch helped spur growing acceptance of Apple Pay to the point where Apple Pay killed CurrentC before it could even get started. Now CurrentC holdouts like 7-11 and CVS are finally accepting Apple Pay because CurrentC is likely dead forever. Apple Pay is steadily growing because it offers a secure ay to use a credit card without giving a merchant your credit card number. Hackers target merchant computers because they know merchants know little to nothing about security. With thousands of credit card numbers stored on a merchant’s computer, it’s an easy target for hackers to attack. If nothing else, people should use a digital payment system like Apple Pay solely for the security. Of course, that means people will need to use an Apple product as well such as an iPhone or Apple Watch, which is what Apple really wants people to do. Once people get used to Apple Pay, it will be harder for them to switch to a rival system like Google Pay or Samsung Pay. Thus Apple Pay not only makes Apple steady money, but it also helps keep people from switching to rival products. That’s exactly why Google Pay and Samsung Pay exist, except that Samsung Pay and Google Pay are competing against each other in the same Android market. Why use Samsung Pay if you can just use Google Pay and switch to rival Android products in case you don’t want another Samsung phone? For security, use Apple Pay. Whenever you see Apple Pay available, try it. It will keep your credit card secure and encourage more merchants to offer Apple Pay (along with Google Pay and Samsung Pay). The more people use digital, secure payment systems like Apple Pay, the less likely hackers will steal your credit card. The choice is simple. Do you want security or not. If so, then use Apple Pay. 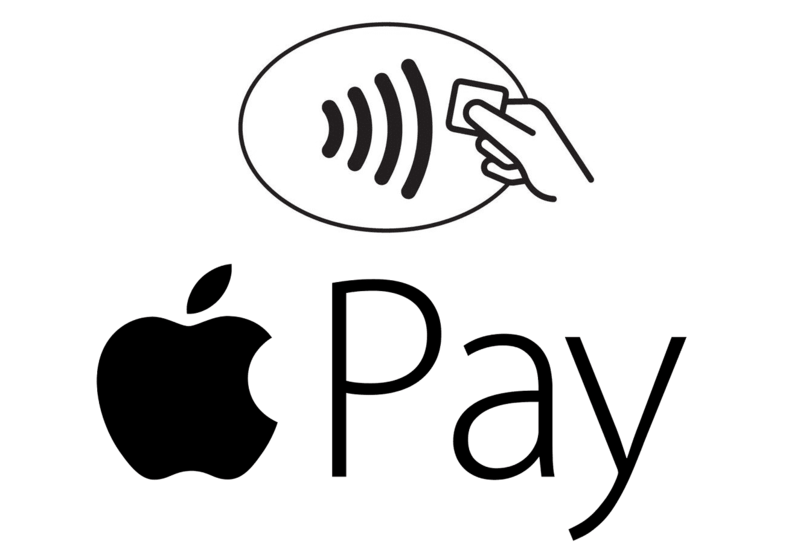 To read more about Apple Pay being accepted by CVS and 7-11, click here. What it is: Juniper Research estimates 225 million people will be using Apple Pay in two years. 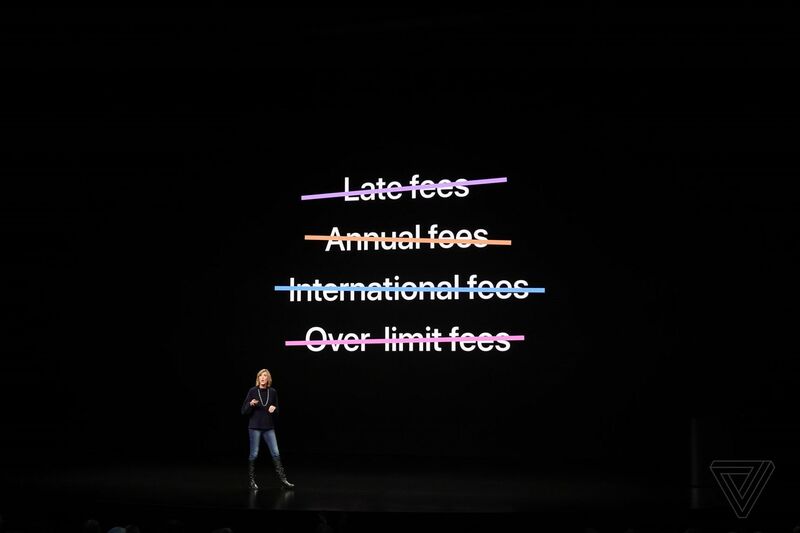 While most analysts focus on sales of iPhones to determine Apple’s financial health, they tend to ignore Apple’s services division that includes iTunes music downloads, Apple Music subscriptions, iBook sales, and Apple Pay. Essentially Apple Pay provides a secure way to use a credit card without giving up your credit card number. This makes it impossible for merchants to store your credit card number where hackers could steal it. For that reason alone, Apple Pay is far superior to using a regular credit card. Each time you use Apple Pay, Apple gets 0.15% of every transaction. That might not seem like much but the more people use Apple Pay, the more money Apple makes by simply providing a secure way to purchase items using a credit card. 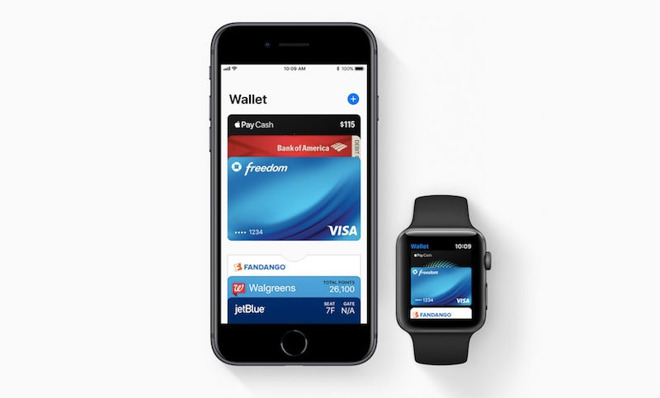 Apple Pay is particularly handy for Apple Watch users because you essentially have your wallet with you at all times that you can’t easily lose. For those without an Apple Watch, they can use an iPhone. For online purchases, you can sue Apple Pay on MacBook Pro laptops that include a Touch Bar that can verify your identity with a fingerprint. Apple Pay has competitors like Google Pay and Samsung Pay, but Samsung Pay is essentially targeting the same market as Google Pay. The goal of Samsung Pay is to tie people to Samsung products much how Apple Pay ties people to Apple products. Whatever mobile payment system you use, the purpose is to make it easy to pay for items without constantly reaching for your wallet and pulling out a credit card that could be hacked if a merchant stores your credit card number on its computers. For now, many people don’t use Apple Pay because it’s far more convenient to use a credit card and many merchants do not support Apple Pay. That trend will gradually change over time, which means Apple will continue making money without having to expend much resources (like building a new iPhone) to do it. Apple Pay may not be the big money making that the iPhone is, but it’s certainly a steady and reliable money maker that is practically a Fortune 500 company all by itself. If you haven’t used Apple Pay, try it. It costs nothing to use and offers greater security in return. For that reason alone, you should use Apple Pay instead of a credit card whenever possible. To read more about the growing number of Apple Pay users, click here. What it is: Apple Pay is now used by 16 percent of iPhone owners. Apple Pay is a fast and secure way to pay by credit card without giving up your credit card number. In traditional credit card readers that rely on a swipe or even a chip, each purchase you make gives the retailer your credit card number. This is why hackers target large retailers like Target and Home Depot because they know those companies store large amounts of credit card numbers and likely have poor security to protect it. With Apple Pay, your credit card number remains securely hidden from the retailer. This lets you purchase products safely without ever worrying about giving away your credit card number to retailers who will become targets of hackers in the future. The big problem with Apple Pay is that not all merchants who accept credit cards accept Apple Pay. Another drawback is that Apple Pay is unfamiliar to many people. Using Apple Pay with an iPhone requires pulling out your iPhone and remembering the steps to access Apple Pay. The Apple Watch is convenient for using Apple Pay but you must still figure out the steps to using Apple Pay. For many people, these minor steps and learning curve are less convenient than simply using a credit card instead. That’s why only 16 percent of iPhone users use Apple Pay. Security isn’t a huge incentive so Apple needs to encourage more people to use Apple Pay through a rewards program like most credit card companies offer such as frequent flyer miles on airlines or cash back after a fixed amount of purchases. Apple Pay is far more secure than giving your credit card number to every merchant you visit, so take some time today to learn how to use Apple Pay. That way when you’re in a store with a line of other customers behind you, you won’t feel self-conscious trying to figure out Apple Pay on your iPhone or Apple Watch. Apple Pay is a safer way to pay by credit card and it won’t cost you anything extra in return for greater security. Now if only more people understood this, they would find a reason to use Apple Pay just for the added security alone. 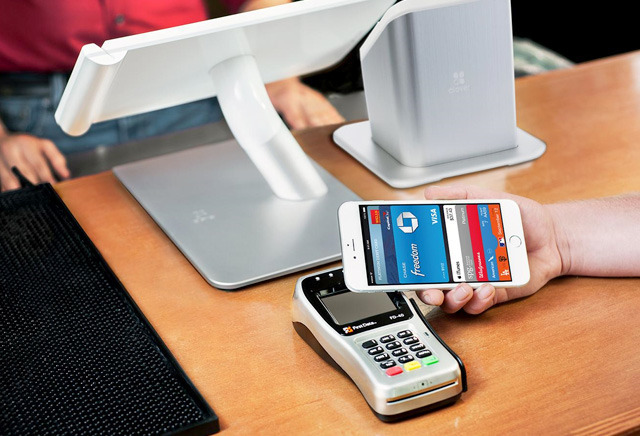 To read more about Apple Pay’s slow growth, click here.